Stamp With Us are excited to announce their next 2010 Retreat in Haslemere, Surrey. SO YOU NEED TO BE QUICK TO CONFIRM YOUR PLACE. Monica Gale, Natalie O’Shea and Zoe Pierson. Classes will include a mixture of techniques and projects and will use Stampin’ Up! products. There will be an assortment of papercraft classes and each class will be around two hours long. Previous classes consisted of mini albums, scrapbook pages, boxes, paper handbags and lots of cards. All products are included in the cost – you only need to bring a basic tool kit with you. Full details of what you need to bring will be sent to you a week or two before the event. To join us all day Saturday and enjoy all of the classes, lunch, dinner, Party Night, overnight accommodation Saturday night, Sunday classes and Sunday breakfast and lunch, the cost per person is £350.00. If you wish to stay the Friday night to make sure you are refreshed and ready for your early Saturday morning start, then for accommodation in your own single room and breakfast on Saturday morning can be arranged for an additional £70. Depending upon our numbers, we *may* be able to accommodate a couple Day Delegates, please contact us for more information and prices on this option if you are interested. At the beginning of your stay, you will have your own table where you will sit for each class and make your “own”. There will be unlimited coffee, tea and snacks available throughout the day. Lunch will be provided each day too with a hot and cold buffet on the Saturday and a Roast lunch on the Sunday. Please email us for more information and a booking form. Places are not confirmed until deposits are received. Sounds good? 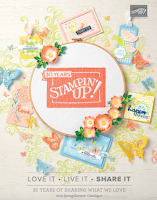 Book your place today, I would love to have you STAMP WITH US! I also need to let you know about our next round of Online Classes which starts very soon. You can find all the details HERE, please read the new terms as the pricing has changed if you join in late, You have untill the 18April to register for the old £15 price.